You probably think that contradicts several other verses which Muslim terrorists like to quote (as do far right groups opposed to them) and it does -- it's not the only example. The problem is that most Muslims are raised in an impoverished environment characterised by violence and hate -- the banlieues of Paris are full of them, see earlier post -- so it's only natural that they prefer those verses. Solution? One for the too hard basket. 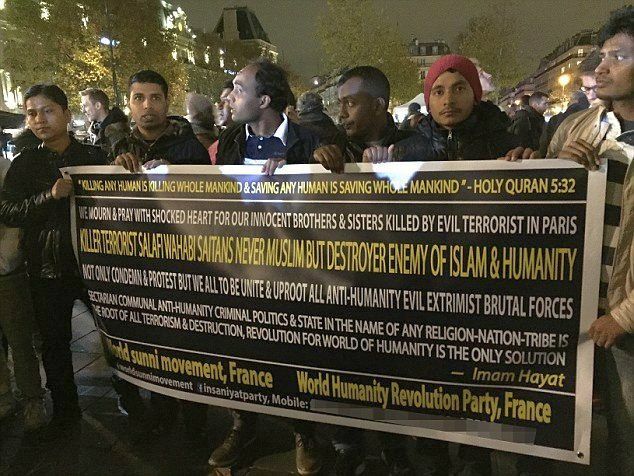 However, what is clear is that those Muslims who don't publicly renounce violence, like these ones above, are going to be put on the suspect list.